It's still sunny and warm in Los Angeles. omits any normal winter wardrobe choices. These beauties are making their way into the shop this week. 22nd birthday party I shared here. It worked as well for hostessing …. as it did for a day in Los Angeles. to see what other fashion treasure I could find! They are busy preparing for their New Years Eve this Thursday night! for her very generous shout out! I know how you feel Tamera. Our little piece of paradise here in Vancouver has been blessed with comparatively mild weather...eastern Canada is really getting the snow and cold. I love your compromise on dressing for your weather, but still honoring winter...You're festive and look so pretty! 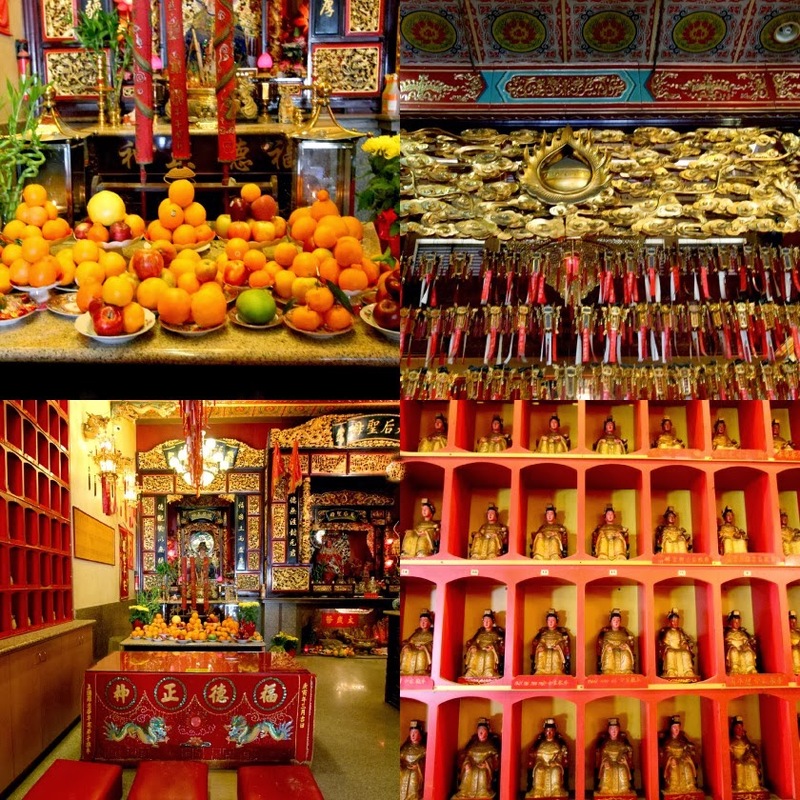 Lovely photos of China Town! I love the teeny balls of twine on your earrings! Such a cute detail and a nod to nautical! Absolutely stunning. A fascinating look and a beautiful jacket. Gorgeous photos. Love this whole post! Your earrings are fabulous as I would expect them to be and I love the jacket so much. I have always been attracted to Chinese pieces and necklaces. This is beautiful and works so well with the stripes! Happy Sunday! 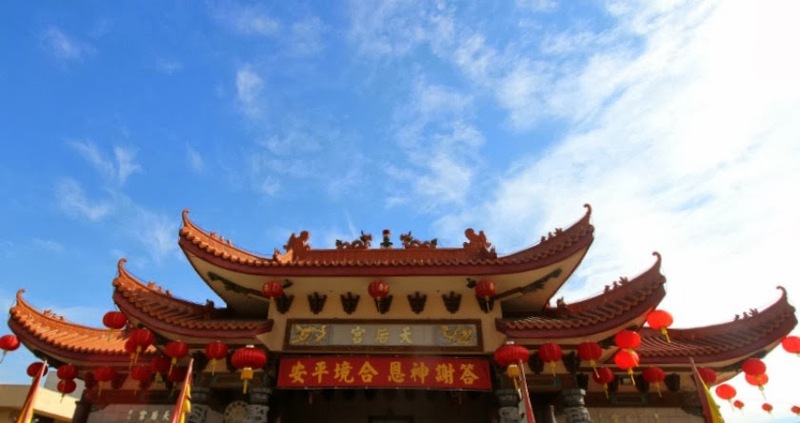 *Gorgeous* pictures of Chinatown! And your Chinese jacket is simply gorgeous too. Thanks for sharing with Visible Monday, xo. Yay! Stripes with EVERYTHING!!! Great outfit and great shots of Chinatown. Fabulous and bright as usual! Love the look and yes, absolutely jealous of the weather - over which you have no control. That mother nature is reminding us she all woman! Have anyone ever told you you remind them of Grace Kelly? Anyway, you do to me and I love you very Hollywood style. Have a wonderful week! I'm just crazy over that jacket...it's gorgeous, as are your earring designs. I'm going to have to schedule some time to visit Chinatown soon. I find the shot of stripes in this ensemble very fresh and appealing. You have such great style. Lovely images and you look super elegant in white and red! You should never feel guilty over enjoying beautiful weather, just enjoy, enjoy and enjoy! I, for one get to enjoy through your fun posts. 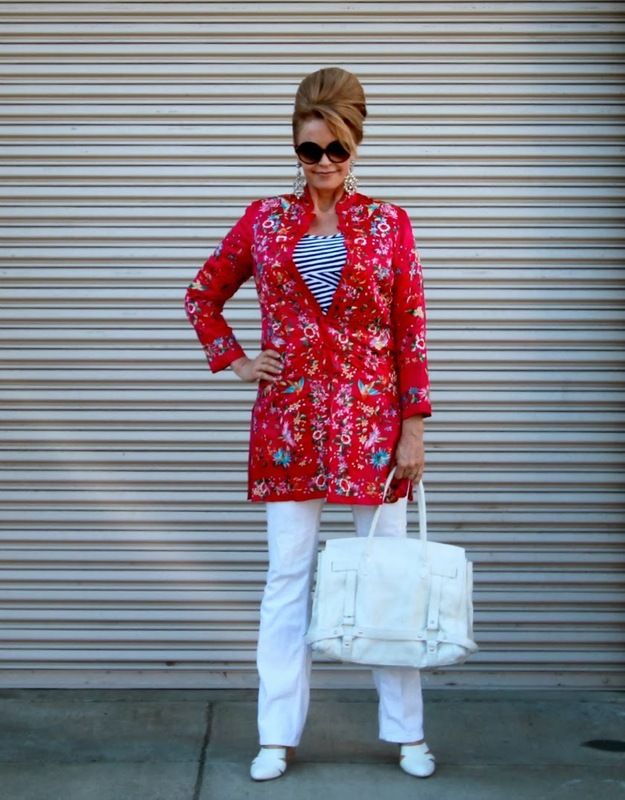 What a fantastic way of bringing a little winter weather to sunny California with your fabulous jacket. I so love how you paired it with that striped tee and also a little pink for Elle's party. But, then anchoring with your crisp white is the Tamera signature of excellence! Your jacket is so pretty. I have a plain black Chinese style one that I've had no idea how to wear it. I am going to try the striped top underneath like you've done. Thanks for the inspiration! 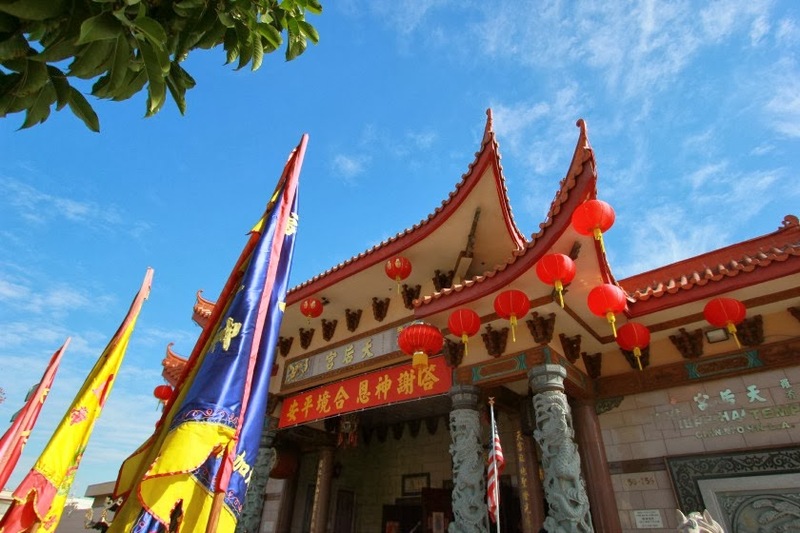 LA's Chinatown looks amazing, our Chinatown is so so tinny but nonetheless full of little treasures as well! Our turn will come as far as temperature, i figure that the worse is almost over for us poor Easterners! The earrings are very pretty, i love the ball of twine, such a pretty detail! I do like the combination of stripes with the Chinese jacket. Only you could really pull it off seamlessly. Thanks for a great post. I love those shoes. I am considering getting a white pair but I don't know if I will wear them around here. Plus they may not look so great on my large feet. Your earrings are so gorgeous. I wear the earrings you gave me often and always think of you when I do! You pull it off beautifully mixing the stripe with the print. Why, oh why do I always look like I dressed in the dark when I do anything more than the subtlest of print mixing? How beautiful is that jacket?? And I would never have thought of pairing it with stripes!!! 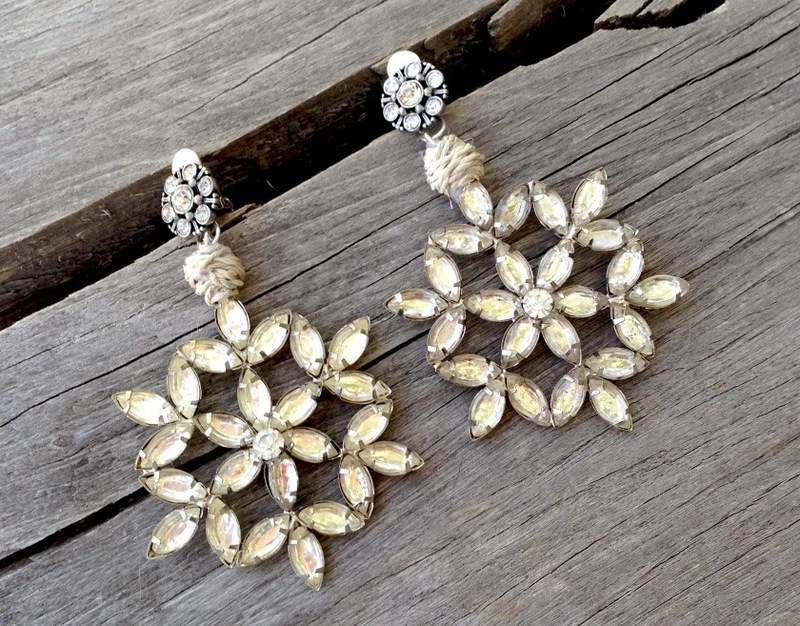 Tamera your new earrings are absolutely gorgeous! 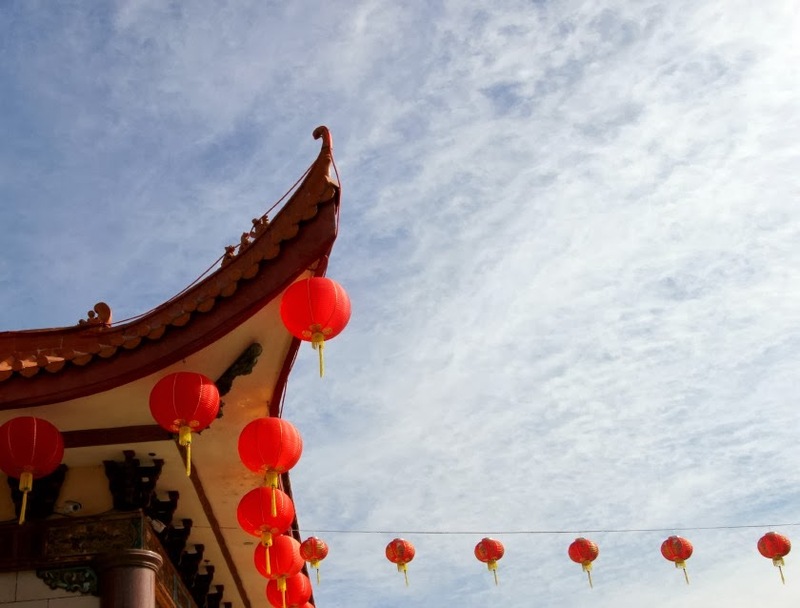 I love your images of China town and all the color. Your outfit is just perfection for a little jaunt to LA. 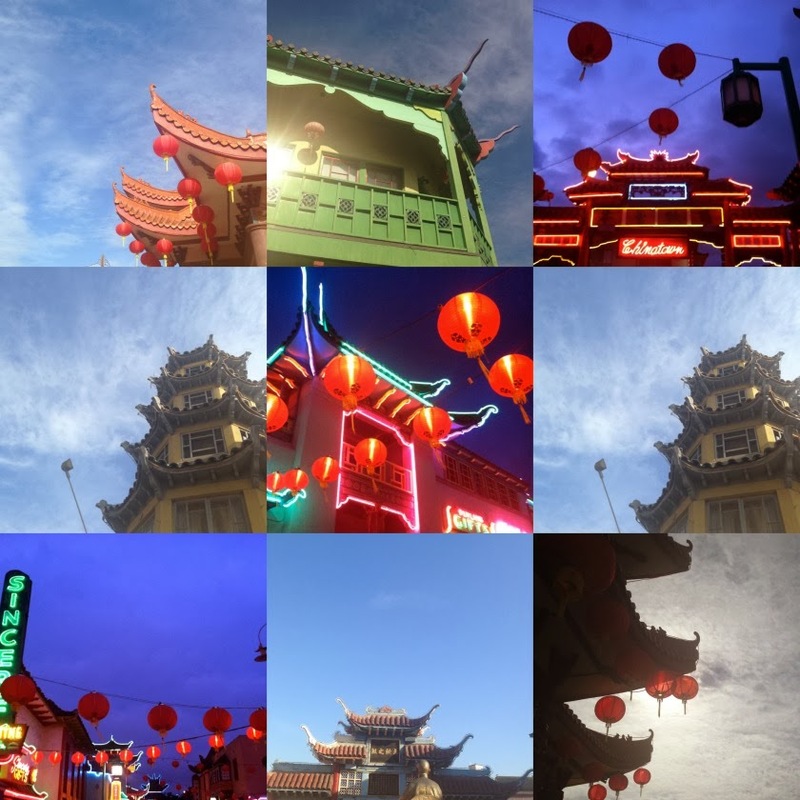 Thanks so much for sharing your Chinatown photos! They are so beautiful. 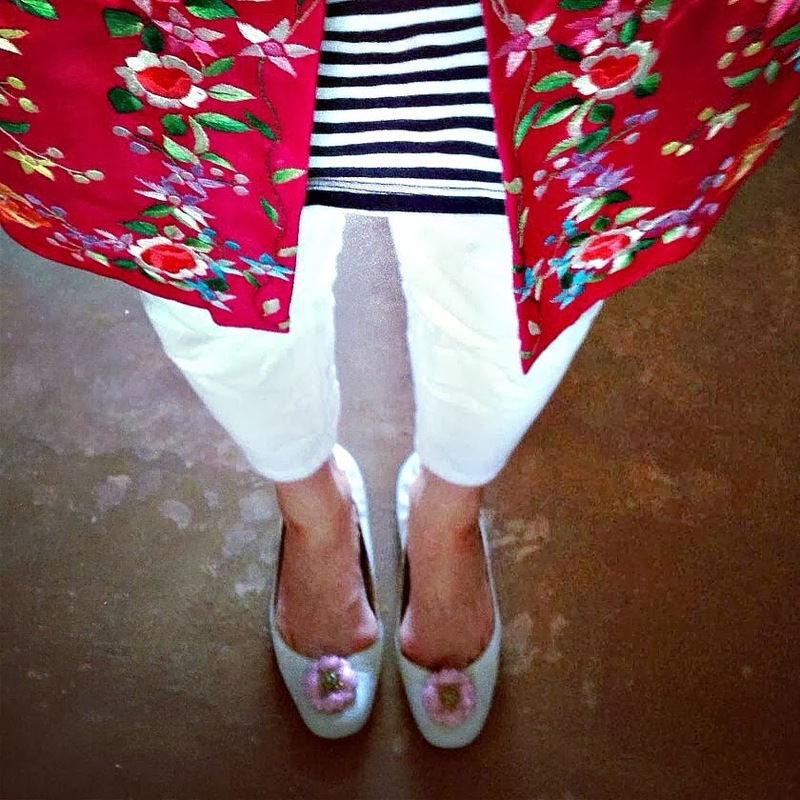 The kimono is a great colour and pairs nicely with the striped shirts (I sound like I'm talking about wine and food). Love those earrings. They are very glamorous. Asian beauty! Lovely choices, Tamera. I'm a special fan of anything pan-Asian that we can integrate into our Western culture. Makes me want to run off and read that recently found, unpublished Pearl Buck novel. There is one, did you know? Lots of brilliantly mixed fashion history here and you did it in a very cool-Tamera way. Such a treat for me to see you today! Just stumbled across your blog from the Visible Monday post and am really enjoying your blog! Absolutely love they way you look in this jacket and your hair is wonderful! 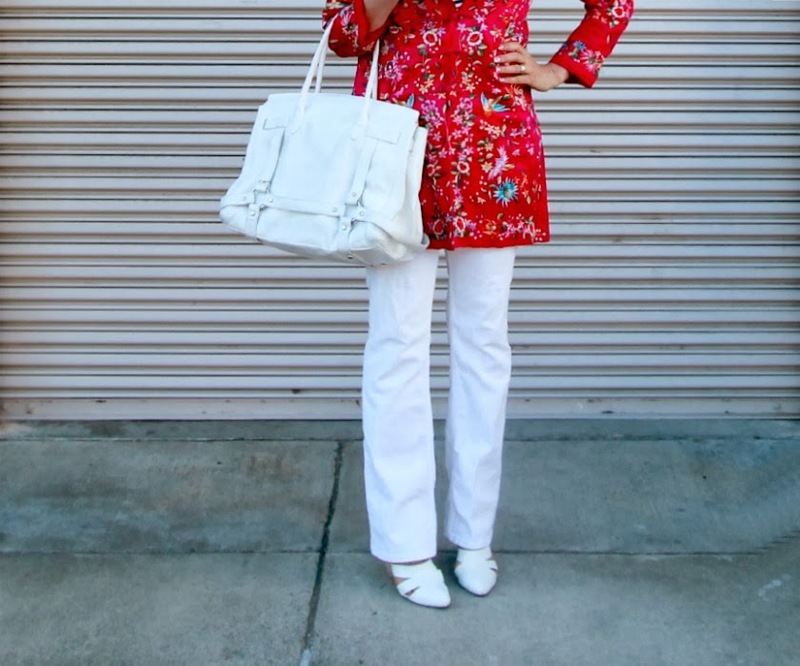 I'm a fan of chinoiserie, but have to be careful I don't look too costume-y.